When Chip Conley, dynamic author of the bestselling Peak, suffered a series of devastating personal and professional setbacks, he began using what he came to call “Emotional Equations” (such as Joy = Love - Fear) to help him focus on the variables in life that he could handle, rather than dwelling on the parts he couldn’t, such as the bad economy, death, and taxes. Using brilliantly simple logic that illuminates the universal truths in common emotional challenges, Emotional Equations offers a way to identify the elements in our lives that we can change, those we can’t, and how to better understand our emotions so they can help us . . . rather than hurt us. Equations like “Despair = Suffering - Meaning” and “Happiness = Wanting What You Have ÷ Having What You Want” have been reviewed for mathematical and psychological accuracy by experts. Now Conley tells his own comeback story and those of other resilient people and inspiring role models who have worked through emotional equations in their own lives. Emotional Equations arms you with practical strategies for turbulent times. On August 19, 2008, my heart stopped. Just minutes after my business presentation on stage, I passed out. Flatline. My memories of that day are opaque, but I can still see the image that was swirling around my brain as I came to in the emergency room: thick, sweet, fragrant oil slowly dripping down a set of dark wooden stairs. My version of “seeing the light,” this was the ultimate wake-up call for me. The doctors could find no medical explanation for my heart failure. Over the preceding few years, a series of wake-up waves culminating in my heart failure had hit me like an emotional tsunami and tested my sense of who I thought I was: a business I had built was sinking; a family member had been wrongly convicted of a crime and sentenced to San Quentin State Prison; a long-term relationship had ended painfully; and I had lost five friends and colleagues to suicide. I know I’m not alone in experiencing these tragedies and setbacks. Many people have felt either out of control or stuck in an emotional logjam. At times, our emotions are crystal clear; we know what we’re feeling and how to respond. At other times, we need guidance. And my heart failure, besides being a medical emergency, was also an emotional emergency. I felt as if I were treading water, gasping for air, my emotions acting like enemies instead of intuitive allies. I had tried my best to put on a good “game face,” because we CEOs like to portray a strong, steady image to everyone and a lot of people were relying on me. After all, my company is called Joie de Vivre (French for “joy of life”), so dour didn’t really fit the profile. I’d started the company in 1987 and grown it to more than three thousand employees, the largest group of independent boutique hotels in the state of California, and had been adept at creating healthy “psycho-hygiene” at the company. I’d also written Peak: How Great Companies Get Their Mojo from Maslow about adapting for the workplace the theory of motivation created by the psychologist Abraham Maslow. During the momentous days of the decade’s first economic downturn, this mixing of psychology and business had let Joie de Vivre defy the general trend and nearly triple in size. It had also led me to lecture all over the world on how to become self-actualized—to become everything we’re capable of becoming at work. When the second economic downturn hit in 2008, however, I retreated to my home—once my sanctuary but now a place filled with beautiful things and ugly thoughts. I would take off my game face and wallow in an emotional darkroom where all my negatives were developing. I had a certain emotional awareness about what was going on inside me but little means to make sense of it, let alone find meaning in it. I felt almost paralyzed by a psychological fog. Instead, there I was at Chip’s memorial service, where I listened to person after person get up and tell “Chip stories.” It was surreal. The truth is, up to this moment, my mind had occasionally veered toward images of my own demise—by car crash or cancer—something dramatic that might help me escape from the mess of emotions my life had become. Clearly, I needed to push the reset button on my mind, and my life, and make some fundamental changes. The terror and despair I felt over this profound loss gradually gave way to a renewed sense that I could remake my experience here on Earth and a budding gratitude that I would have that opportunity even though others would not. During that time, as four other friends also chose death over life, I learned more about the nature of emotional depression and suicide. Nearly a million people try to commit suicide annually in America; about 5 percent of them “succeed.” Men are four times as likely to commit suicide as women, and suicide attempts by middle-aged people have spiked during the economic downturn (all five of my friends were men in their forties). Shining the light on these sobering statistics gave me the incentive to look for a healthy way to make sense of my emotions. I was compelled to revisit a book I’d read years before, the psychologist Viktor Frankl’s landmark memoir Man’s Search for Meaning. Dr. Frankl’s book was a spiritual salve for me. I figured that if this man could withstand the agony of a Nazi concentration camp, I could probably deal with the challenges in my own life. I was acutely aware that my company needed a new solution to its problems, but I was more focused on turning around my own life. Maybe if I could do that, a company turnaround would follow. In other words, despair is what results when suffering has no meaning. In a recession (or, in Frankl’s case, in prison), suffering is virtually a constant, so it’s best to place your attention on growing your sense of meaning in order to decrease your feeling of despair. Though most people today aren’t locked in a concentration camp or acting as CEOs of companies in distress, many people are prisoners of their own minds. So in this book I ask you, “What’s your prison?” and I offer you some keys to unlock the door. Frankl’s “Meaning” equation gave me a sense of freedom that liberated me from my habitual, fearful ways of thinking. Fear is a straitjacket. It incapacitates and isolates you. Yet the ancient root of “fear” is the word “fare.” Passengers pay a fare to take a ship from one point to another, so perhaps in these rough economic seas our fare of fear will take us to a new place in our lives. In most of the Emotional Equations in this book, we’ll stick with basic math formulas—addition, subtraction, multiplication, and division—to get a handle on how emotions work together and how you can work with them. I want to note, however, that calculus is actually known as the mathematics of change. After inventing calculus, Sir Isaac Newton also crafted mathematical expressions of the laws of motion, capped off by the famous equation Force = Mass × Gravity (to be more precise, gravity is a form of acceleration). Gravity is a universal force that affects the physical world, but you may not have considered how it also affects the human condition—and not just by keeping us on Earth. Gravity shapes our physical bodies; we often get shorter and closer to the ground as we age. Gravity can also shape our emotional selves. Emotional baggage, for instance, is a form of gravity; we acquire more of it as we get older, and it weighs us down. The more emotional gravity we’re fighting, the more force we require to move forward. And force moving against gravity creates a lot of friction. On the other hand, having a frictionless life is like being a rower gliding over the surface of the water—in rowing circles, this is called “swinging.” Abraham Maslow called it “self-actualization,” and Mihaly Csikszentmihalyi calls it “flow.” It’s a way of defying gravity. When I went through the most difficult period in my life, I did not feel “in the flow.” On some level, I felt as if mysterious natural forces—such as gravity—were conspiring against me. As one friend told me at the time, “Your internal math is haywire.” That’s what it can feel like when you are out of sync with the world—you feel trapped, heavy, full of friction and chaos. Chaos is a math theory, but it also describes how many of us feel in troubled times. As one who has spent my life doing the left-brain/right-brain tango, I have often grasped for what I now understand to be an Emotional Equation to give me insight into what I was going through at home or at work, to distill some basic truths in life. Emotional Equations provide a new, visual lexicon for mastering our age of uncertainty. When I was a teen, I suffered through algebra with its constants and variables, and somehow I seemed to always get the answer wrong. Today, many of us feel as though we’re getting the answer wrong in life, and so we use prayers, mantras, and affirmations as a sort of adult form of algebra. The Serenity Prayer (“God, grant me the serenity to accept the things I cannot change, the courage to change the things I can, and the wisdom to know the difference”) is an example of a kind of equation for serenity that defines constants and variables in life. When I was at my lowest, the “Meaning” equation gave me the knowledge and conviction that if I placed my attention more on the meaning of this disparate collection of painful events, as opposed to the suffering, I would likely have less despair in my life. During my most troubled weeks, the equation felt as if it was my instruction manual for deactivating my emotional explosives. I didn’t need to be a math whiz to figure out the emotional truth of the “Meaning” equation, I just needed to use it as my daily mantra and map to help me climb out of the deep well into which I’d fallen. In spite of my allergy to algebra, my solution to my personal inner chaos was to become an emotional mathematician. Of course, there’s no perfect formula or spreadsheet for solving the mysteries of life. Even so, the world and our emotions are filled with relationships, and that’s what this book is about: the relationships between your emotions and how they can help you better understand yourself, your purpose, and your relationships with others. Here’s one major relationship that most of us can use some help sorting out: your mind and your wallet. They are inextricably linked. It’s no coincidence that the word we use to describe the worst of economic times also describes a serious psychological disorder: depression. Economic gloom lightens your wallet while weighing down your spirit. Five of the ten most stressful life events are related to whether you are employed and whether the quality of your work experience is good. Your work does more than affect your self-esteem; it organizes your day, connects you with others, and can give you a sense of purpose. Not since the Great Depression have we seen such a perverse connection between work and our psyche as we do today. We are more familiar with the kind of recession that comes and goes like a brief winter storm, and our capacity to handle it has a lot to do with knowing it won’t last all that long. But what if this economic toilet bowl we’re in lasts longer than any other recession in history? How do we find the internal resources to cope with that bad news? It’s encouraging to remember that some of the greatest American literature, such as The Grapes of Wrath and Of Mice and Men, came out of the Depression era. During the same decade, Napoleon Hill wrote the runaway bestseller Think and Grow Rich (1937), which urged readers to adopt a positive mental attitude and channel the power of their minds to improve their lot in life. And the theologian Reinhold Niebuhr created the Serenity Prayer, which was adopted by the USO during World War II and subsequently by Alcoholics Anonymous and other twelve-step programs. It seems as if the more the external world becomes chaotic, the more we need to create our own internal logic. Why do misfortunes embitter one person while motivating another to become resourceful? What valuable coping skills can you acquire during difficult times that you would never have developed during a more tranquil phase of your life? Are there ways you can train your mind so that you don’t waste so much time and energy on emotions and tensions that aren’t serving you well? Those questions are very personal for me. They’re part of the reason I created my initial Emotional Equation about meaning, then more equations for the people I worked with, and now this book for you and others. In researching these equations, I reached out to psychologists and mathematicians, who generally welcomed me (and even gave me an honorary doctorate in psychology). Heck, one well-known academic told me that I’d clearly had a fascination with emotions going back to when I named my company after the French expression for “joy.” And I was reassured to find that the psychology community was already using equations that defined happiness, positivity, and even the likelihood of a stable marriage. In the next chapters, I ground my storytelling in the math and science that supports Emotional Equations, to provide you with a shorthand means of correcting yourself emotionally—to get clearer perspectives and more control—during both good times and bad. One way to think of Emotional Equations is as a grown-up version of finger painting. If you mix two primary colors, say, red and blue, you get a secondary color, in this case purple. In fact, psychologists believe that our primary emotions work together to create secondary and even tertiary emotions that have subtle distinctions. An Emotional Equation is like having a flash card that you can raise in front of you to remind yourself that emotions are related to one another and that you can cultivate your perfect emotion potion. Certain Emotional Equations will likely be more meaningful to you than others, and one section of the book may be more relevant to where you are in your life today. It’s a bit like an encyclopedia of emotions, so there’s no need to read the chapters in order. In fact, I recommend that you read a chapter at a time and think about it for a while, letting it seep into your subconscious. Or consider selecting one equation to focus on for the week and incorporate the “Working Through the Equation” section into your daily life. The last chapter of the book provides a practical framework for deconstructing your own emotions and creating Emotional Equations that will be personally meaningful to you. I invite you to participate in the growing, emotionally fluent community on the Emotional Equations website, www.emotionalequations.com, where people are sharing the equations that work for them. We all want a fully functioning heart and mind. Why shouldn’t we want the same for our emotional state? I’m not a therapist, but I can still help coach you through your emotions. During the most challenging of times, these Emotional Equations bolstered my leadership skills and our company’s performance. In fact, in 2010, Joie de Vivre was awarded the top American award for customer service in the Upper Upscale category of hotels by Market Metrix, beating Marriott, Hilton, Hyatt, Westin, Kimpton, and Peninsula. I believe the best CEOs are truly “Chief Emotions Officers,” since great companies have great cultures and at the heart of a great culture are healthy emotions. You may not think of yourself as a leader, but you are already leading yourself—and maybe others—on a daily basis. This is a very different attitude from when I graduated from business school. Then I believed that in order to become a successful CEO, I needed to be superhuman. But after nearly two dozen years of being a CEO, I’ve learned that the best leaders in life aren’t superhuman; instead, they’re simply super humans. So just think of me as your emotional concierge. Or as your “street shrink.” Even though we use the word “shrink” to describe an emotional counselor, I believe life isn’t meant for shrinking. It’s meant for stretching, and I’m hoping that Emotional Equations will stretch you and create a better life for you and those around you. After using Emotional Equations, you will find that your emotions will no longer get the best of you. Instead, your emotions can represent the best in you. This is my operating manual for being a super human. I hope it serves you well. Veteran CEO Chip Conley has created more boutique hotels than anyone in the world. Founder of Joie de Vivre Hospitality, which he grew into America’s second largest boutique hotel company, he speaks around the world on how to find meaning at the intersection of business and psychology. The author of several books, including Peak: How Great Companies Get Their Mojo from Maslow, he was named the Most Innovative CEO in the San Francisco Bay Area, which he calls home. For more information, visit EmotionalEquations.com and ChipConley.com. "Rarely has a CEO bared his soul in a book as Chip Conley has in Emotional Equations. This powerfully authentic story makes for a compelling read and an invaluable operating manual for life. Chip’s stories are used to create emotional building blocks that define how we can understand and navigate our internal weather and emotions." "It's incredibly rewarding to see one of my former psychology students evolve first into a very successful businessperson and then into a thoughtful observer of human nature. 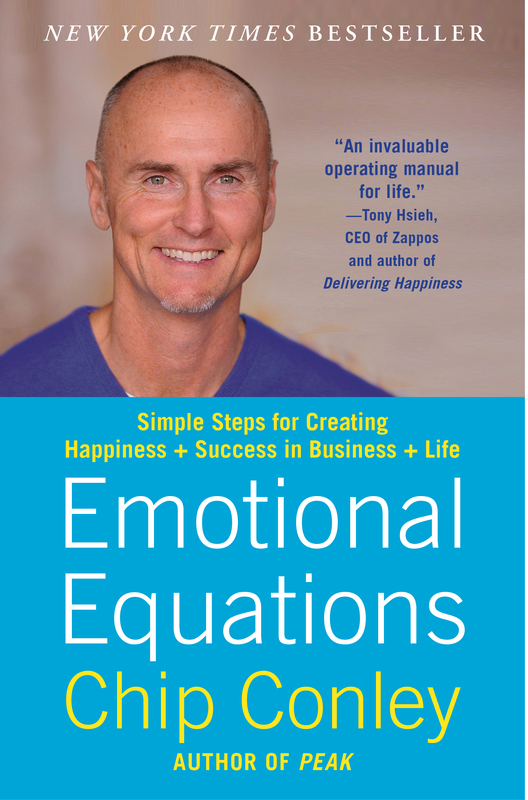 Chip Conley's Emotional Equations is challenging, thought-provoking, insightful, and, ultimately, very practical." "You may scoff at the idea that all the complexity and subtlety of human emotion can be reduced to a handful of arithmetic operations. Scoff all you want, but read the book. There is something important to be learned from every chapter. Chip Conley has written a book that is both welcoming and challenging, simple and complex, abstract and concrete. Read this book and take it to heart and your emotional life will never be the same." "After Frankl's memoir, Man's Search For Meaning, got him through a very dark period, Conley concluded that its message was "despair = suffering - meaning," an elegant distillation of Frankl's insight that extremes of anguish need not destroy the soul if a sense of purpose, and of choosing the meaning of one's experiences, remains. At their best, Conley's equations prompt a revelation: by reducing an emotional problem to its core elements, you can glimpse new ways to address it. The formula provides clarity, which isn't to suggest the solution is easy." "Chip Conley gives a brilliant analysis of the absolute necessity of Maslow's hierarchical paradigm in unleashing the talent and commitment of customers, employees, owners—in fact, stakeholders. Great resource material for leaders, trainers, educators, even parents. Chip practices in his hotels what he teaches—most successfully!" 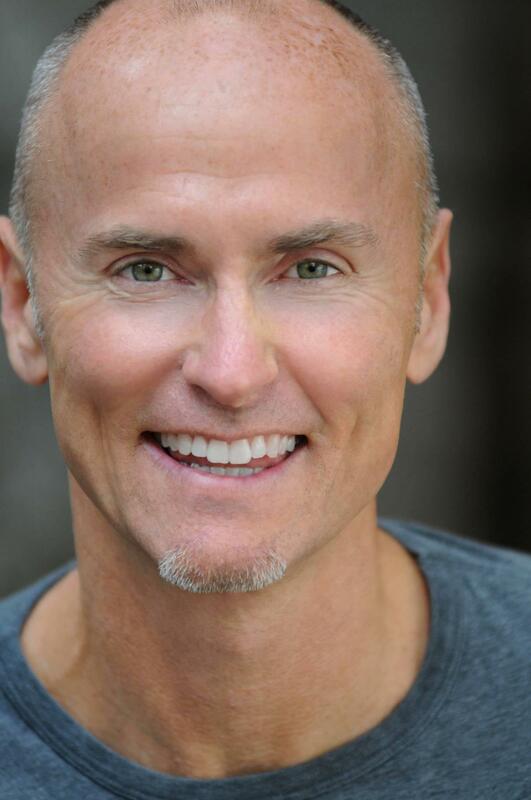 "Chip Conley presents a creative and thought-provoking new approach to running a business. He brilliantly applies Abraham Maslow's theories to management and provides insightful prescriptions that will help you gain peak performance in your company. Conley's depth and candor make this book a must-read for everyone who wants to improve their organization." "One of the best business books I've read. A unique combination of organized intelligence and creative insight. I guarantee it!" – George Zimmer, CEO and chairman, Men's Wearhouse, Inc.
"Strategy? Got one. Tactics? Check. But there's one more key element without which you won't get anywhere: Motivation. Peak will show you how to create motivated employees, customers, and investors, and tells the story of how one spectacular entrepreneur does it by treating people right—and how they return the favor." "Chip Conley's book is a perfect combination: part personal story, part business theory, and part how-to instruction. Peak combines head, heart, and soul for today's aspiring business leader. Don't just read this book—do it!" "Conley filters his own readings in psychology and philosophy into his teachings, which may help some readers who can appreciate a rational, mathematical approach to managing their emotional lives."